As a writer, I always have stories to tell. Some of these stories might inspire, some might lead to self-reflection, some might even change a person’s life. But ‘story-telling’ isn’t limited to only writers alone. Everyone you come across in life will have a story to tell. But it is up to each of us to open our ears and hearts to them. 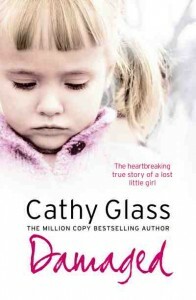 I want to tell you about a book I’ve been reading – the heartbreaking true story, ‘Damaged’ – by Cathy Glass. Cathy, an experienced foster carer, is given the troubled case of an eight year old named Jodie. After Jodie’s aggressive behaviour forces her to go through five homes in four months, Cathy decides to take her in. Right from the beginning, Jodie is a handful. As she inflicts emotional and physical pain onto others, Cathy struggles to find answers as to why she is the way she is. But in the process of looking for those answers, she never once judges this little girl for how she behaves. Cathy is empathetic, patient and understanding. She trusts that there is a story behind this girl that she is yet to find out. The selfless nature of Cathy reminded me of someone – myself. How I always try my best to empathise with a person’s situation before I judge their behaviour. But as hard as we all try, this is something many of us still find difficult to do. To some extent, we can relate to this innocent 8 year old girl. We all have a past that has shaped us into who we are today. We all have stories to tell the world. But when we meet each other for the first time, there will be unavoidable ‘first impressions’. We will notice how the other person speaks, what they say, how they act and behave; all of this will determine what we believe we know about them. But in actual fact, the story has just begun. They have only started telling us their story, given us a glimpse into who they are. We can’t be quick to jump to conclusions. We can’t be too quick to judge. On the surface, Jodie appeared to be a child that couldn’t be helped. She appeared to be a child who didn’t have any respect for herself, much less for anyone else. But in the end, these were all ‘appearances’. It was the foster carer’s empathy and lack of judgement towards her, that encouraged the little girl to open up. That gave the little girl a greater chance at a better future. We can’t change the way we appear to others, it is something we aren’t in total control of. But we can change the way we look at other people. We need to remind ourselves that in order to learn the ‘full story’, we have to give others the chance to tell it. We can’t make our own assumptions. Don’t judge the young mother who can’t calm her child down at the supermarket, it doesn’t mean she’s not a good mother. Empathise with the fact that her child might just be grumpy that day. Don’t judge the couple arguing at the shops, it doesn’t mean they’re in an abusive relationship. Empathise with how all relationships go through difficult times. Don’t judge a friend for how they express their emotions, it doesn’t mean they’re cold-hearted. Empathise with the troubled childhood that led them to feel this way. Don’t judge someone on their past alone, it doesn’t mean they can’t change. Empathise with the fact that even ‘good’ people make mistakes. Just remember, the ‘cover’ others show to us, is only part of their story. In order for them to finish telling their story, we must not judge before turning the pages first. I also just noticed your in Australia. If you’re ever in Sydney, let me know! These are all simple things that we can live by, for the sake of others and for ourselves! Human judgement is only a morality of their own dignity’s. It’s very clear that minds need a greater expansion on the world we live in. Poor Jodie was condemned too a life of endless punishment, I can’t see from the writers view and your own why you or anyone else would judge anything that was different and unusual from yourself, especially, The conditions in which the writer was working in at that time. I find the story about the traumatized little girl exaggerated and Judged too a rather obnoxious level, And there was things said at the beginning of the book as too some of the details names and places being changed too protect the innocent, Which i don’t feel she portrays that young girl too be innocent either, I feel the girl was explicitly treated and overindulged in. Hi Saloma. We all judge each other to some extent, consciously and even sometimes without realising it. But it’s what we do with this judgement that matters. Childhood and adolescence is an incredibly difficult time and what Jodie needed more than anything was compassion. Without the author’s compassion, she wouldn’t have been able to move forward with life. All children deserve a second chance.